On 8 February 2018 a unanimous decision from the Supreme Court in the case of HM Inspector of Health and Safety v Chevron North Sea Limited  UKSC 7 provided much needed clarity on the approach to be adopted when considering appeals against Prohibition Notices served under section 22 of the Health and Safety at Work etc. Act 1974 (“the Act”). In particular, it confirmed that Tribunals hearing appeals are entitled to take into account additional evidence that has become available since the notice. Under the provisions of the Act all employers and employees (and others) owe duties to ensure the health, safety and welfare of persons at work. Failure to comply with the duties can result in enforcement action up to, and including, prosecution. On that basis, health and safety is predominantly underpinned by the criminal law regime. Enforcing authorities frequently serve statutory notices to ensure the improvement of safety standards within organisations. The Health and Safety Executive (HSE) publishes details of all formal notices served, as well as criminal convictions secured, on its dedicated enforcement databases. Authorities can serve an Improvement Notice where its officer reasonably considers that a business or individual has, or is likely to, breach safety law. The statutory Improvement Notice requires the recipient to take steps (sometimes specified) to rectify the breach and so improve site safety. Provisions of the Act also enable inspectors to issue a Prohibition Notice on a business or individual where the inspector believes that a certain activity involves a risk of serious personal injury. The notice requires the immediate cessation of the unsafe activity, which cannot be restarted until the inspector is satisfied that it can be conducted safely. These notices can therefore severely disrupt business activities but are designed to prevent continued unsafe work activities. It is a criminal offence to fail to comply with the requirements of either of these notices. Those served with such notices have the right to lodge their challenge to it within 21 days of service. The appeal is to be made to the local employment Tribunal and can result in the notice being cancelled, confirmed or modified. If an appeal against an Improvement Notice is lodged it has the effect of suspending the operation of the notice pending the outcome, whether determined or withdrawn. Alternatively, when appealing a Prohibition Notice the terms are not automatically suspended, and remain in force unless the Tribunal orders otherwise having received a relevant application. Therefore, whether or not to appeal a notice remains a key decision since they remain on record and can be brought up in future proceedings to demonstrate non-compliance. Chevron operates an offshore installation in the North Sea. In April 2013, Health and Safety inspectors formed the view there was corrosion in the stairways and staging surrounding a helipad, rendering the primary evacuation route for the installation unsafe. As a result, Chevron were served with a Prohibition Notice. The notice stated that the inspector was of this opinion that there was a serious risk of personal injury from falling through the stairways and staging. After the notice was served, Chevron engaged a third party to test the stairways and staging, which were not completed until seven months later. The results strongly suggested that in fact the stairways and staging met the required British Standard in terms of strength; and in fact there was no serious risk of personal injury. Chevron sought to rely upon the expert evidence as part of their appeal to the Tribunal who cancelled the notice in respect of two of the stairways. In doing so they relied upon the strength testing evidence which the inspector did not have, or could not reasonably have been expected to know about, at the time he served the notice (“new evidence”). 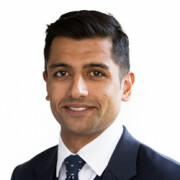 The Tribunal’s approach was contrary to the Court of Appeal decision in Rotary Yorkshire v Hague  EWCA Civ 696 that recently stated how Tribunals should determine appeals. In that case it was stated that the only relevant evidence as to a risk of serious personal injury was such evidence as was available or ought reasonably to have been available to the inspector at the time he or she served the notice. This confirmed what had been the approach in practice and had been applied by the appellate courts in England and Wales. Despite this, in the Chevron case the Scottish Court of Session (First Division, Inner House, which is the highest civil appellate court in Scotland) declined to follow the Court of Appeal. It held that the Court of Appeal’s approach was incorrect and upheld the Tribunal’s decision. As a result, the then current state of the law was there were differing approaches: in England and Wales “new evidence” was not permitted, whereas it was in Scotland. 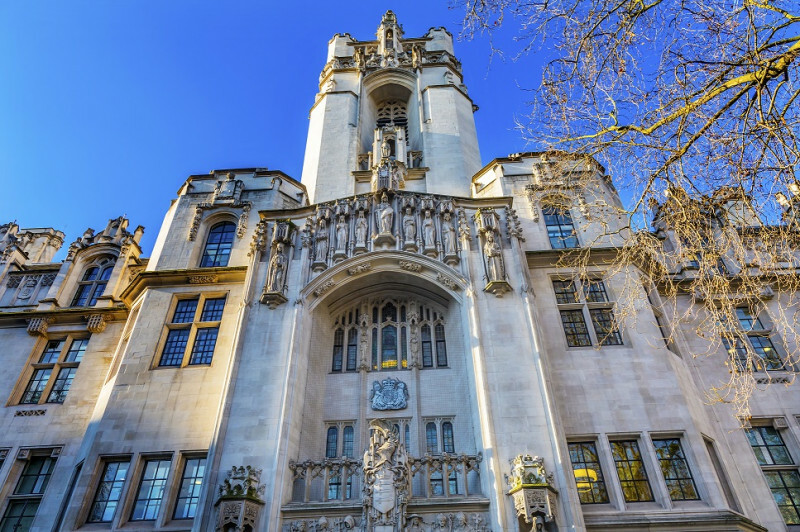 In December 2017, The UK Supreme Court heard the appeal lodged by the HM Inspector of Health and Safety. This was the first time that the Supreme Court heard an appeal concerning whether the service of such an enforcement notice was justified. The issue was the nature of an appeal against a Prohibition Notice, the outcome having a material effect on how such appeals are determined by Tribunals (who determine these appeals at first instance). A full copy of the Judgement can be found here. The answer to the question of what the Tribunal could consider in an appeal against the making of a prohibition order was not clear from the terms of the Act, and must therefore be considered in the light of the statutory scheme as a whole. An appeal is not against the inspector's opinion but rather against the notice itself. The Tribunal had to decide whether the stairways to the helideck were so weakened by corrosion as to give rise to a risk of serious personal injury. Given that this was the question for the Tribunal there was no good reason for confining it to only considering what the state of knowledge of the inspector was at the time of the inspection. On the facts of this case the evidence showed that there was no risk at the material time and it therefore entitled the Tribunal to modify or cancel it. The appellant's argument that if post inspection material came to light which suggested that there was no risk, that in those situations the HSE would not enforce it, did not address the serious reputational damage that such a notice could cause. Companies served with Prohibition Notices must comply with them, but they will be relieved to learn that provided they act within the statutory framework of putting in their appeal within 21 days, they will be entitled to put post inspection evidence before the Tribunal with a view to modifying or even cancelling the Prohibition Notice. If you have any questions on anything covered in this article, or on health and safety law in general, please get in touch with our specialist Health & Safety experts on 01603 610911.